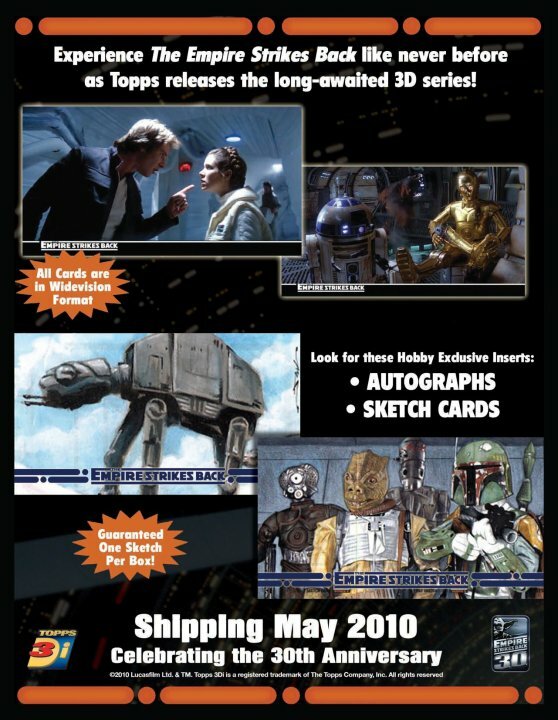 …which are one of a kind collectible cards and randomly inserted into trading card packs and sold on-line or in retail stores. 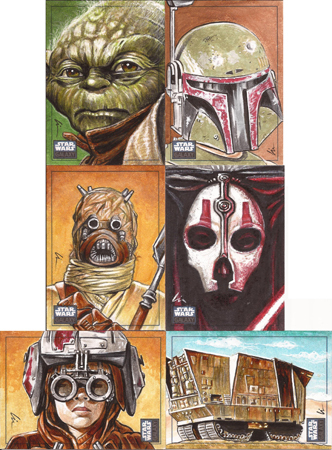 This update I’m going to share a couple more cards from the recent Topps Star Wars Galaxy 6 sketchcards I did and more behind the scenes info. 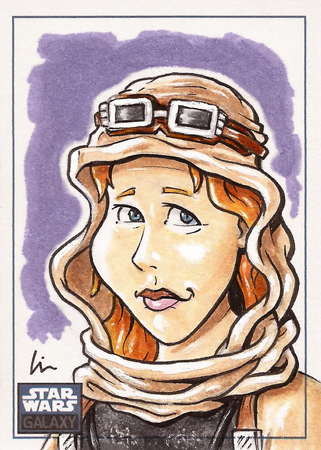 First up is one of Mara Jade– “an Emperor’s Hand”, and “Mrs. 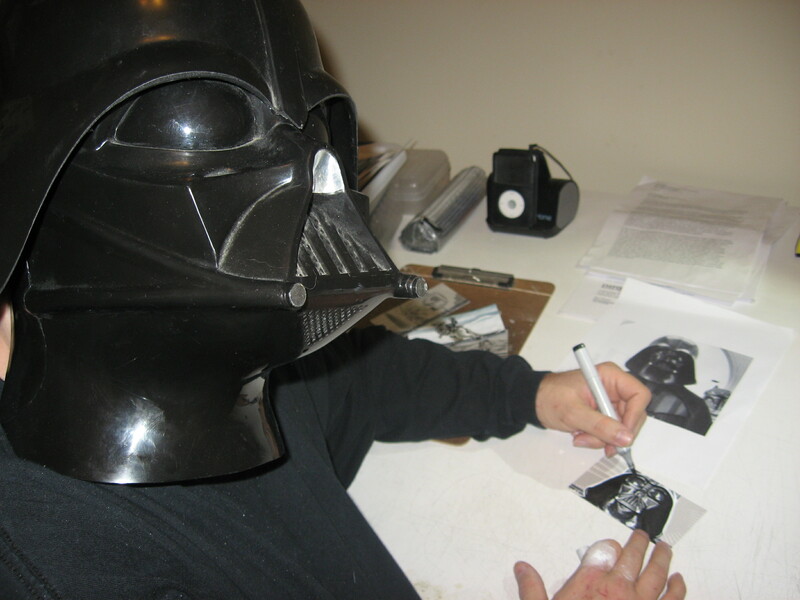 Luke Skywalker”. I’ve had some people ask me just how big (or small) the cards really are, and as you can see- not very! 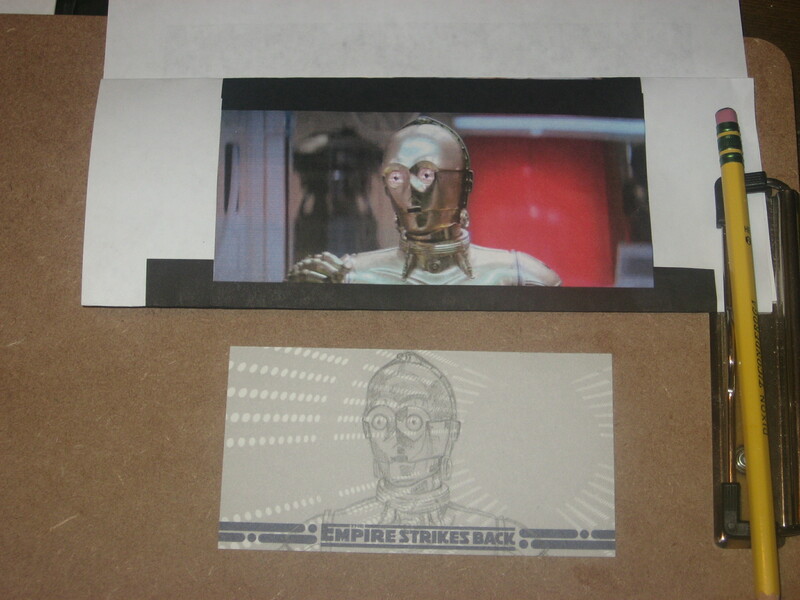 These are 2.5″x3.5″ trading cards- same size as most baseball cards (the Empire cards were a bit bigger/widescreen). 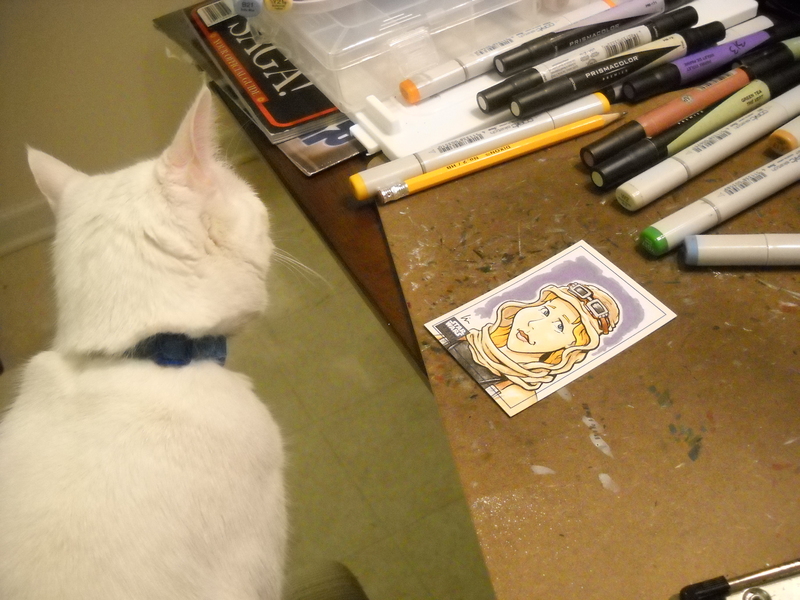 Jarael is debating on whether to steal my markers or put the card up on ebay, which is where you can find many sketchcards. 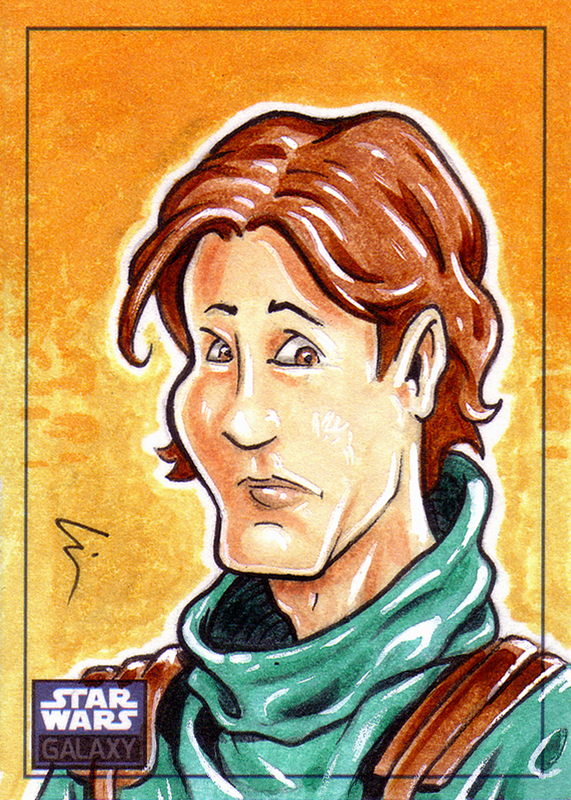 Speaking of Jarael, here’s a card I did of her namesake and another of Zayne– who we named our first two kitties after from JJM‘s KotOR comics. 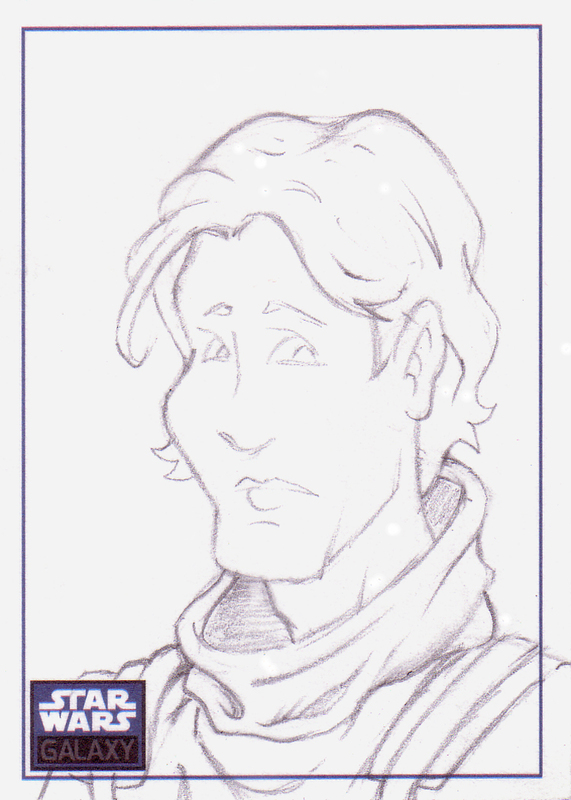 …then color them with markers, ink, and Copic white for highlights. 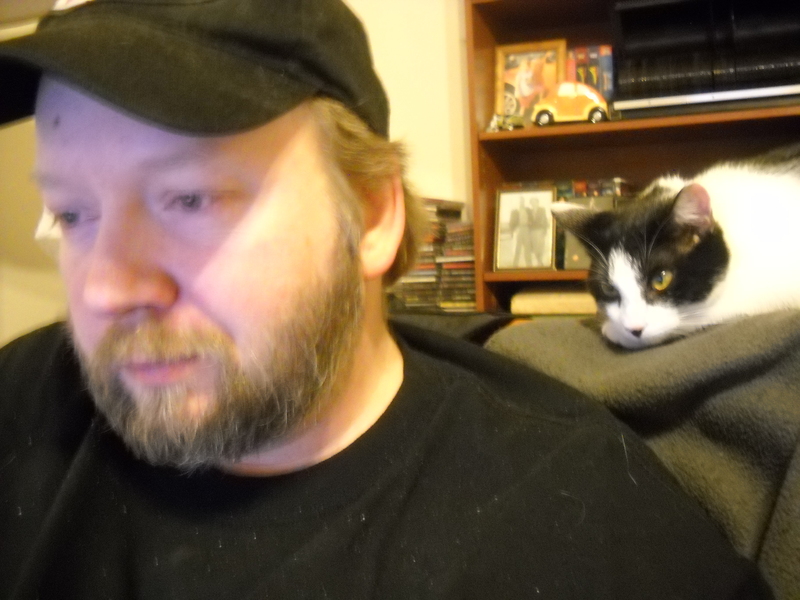 As I get them done I scan them and email them to Topps for approval (Harley supervises). Once all are completed I pick my 6 artists returns (above) and send all 106 cards back to Topps. 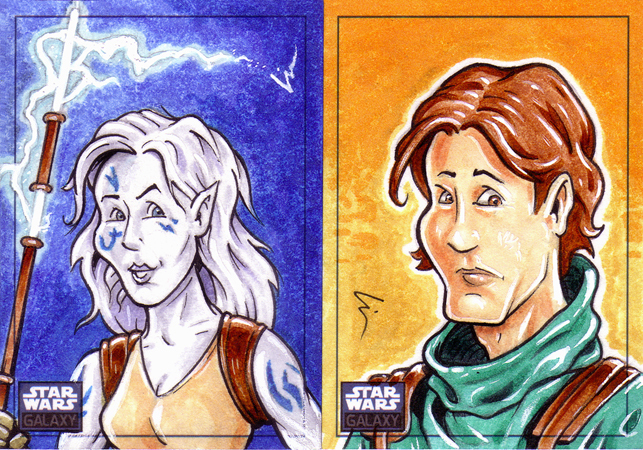 Then after final approvals I get my artist returns back and Topps inserts the other sketchcards into card packs for sale. 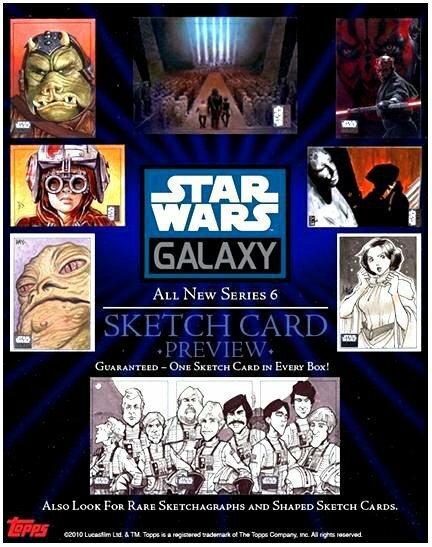 With the Empire set there was 1 sketchcard per box of trading cards, and it will be the same guarantee for this set. 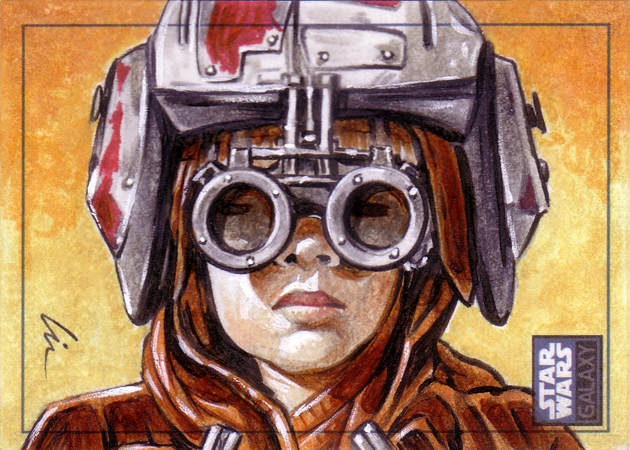 I now have many of my Star Wars and other sketchcards uploaded to my gallery. 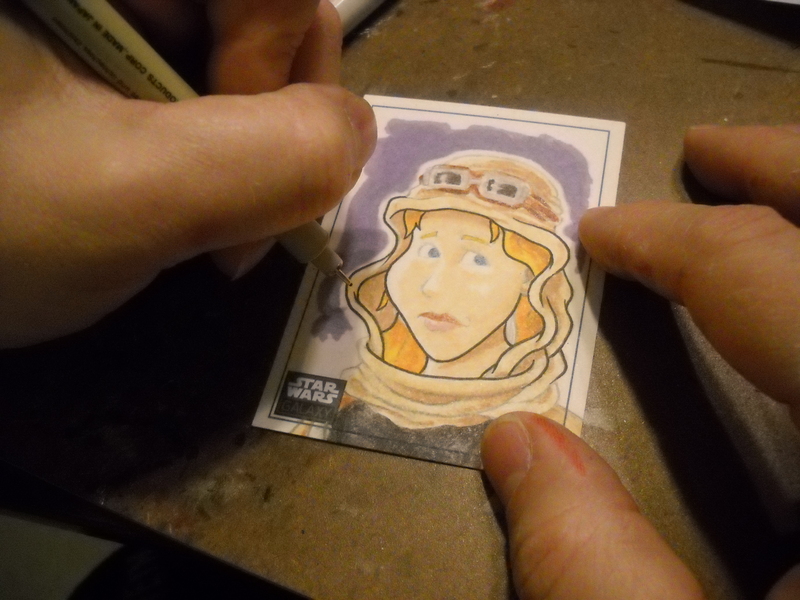 If you’d like to see more sketchcards from this set by other artists check out this forum. ← New Year- new projects? 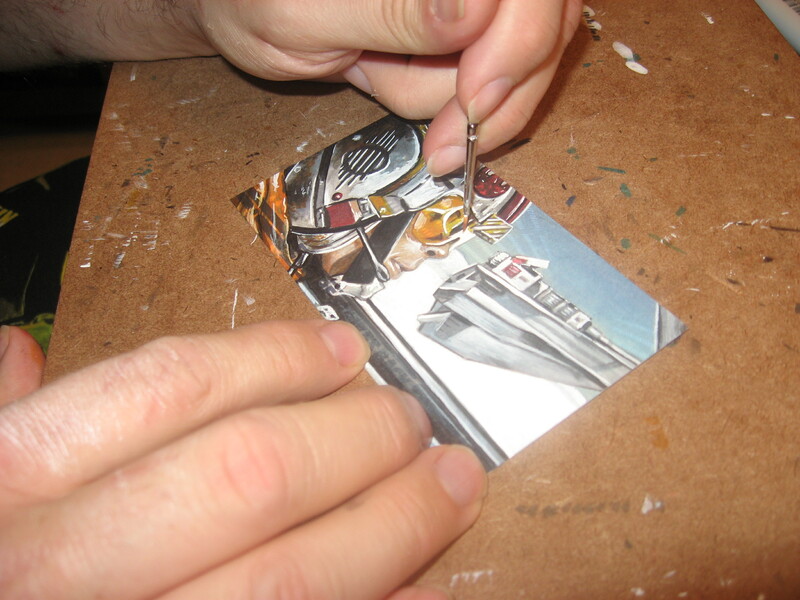 Nice read, it’s great to see the beginning, middle, and ending process of your sketch cards. 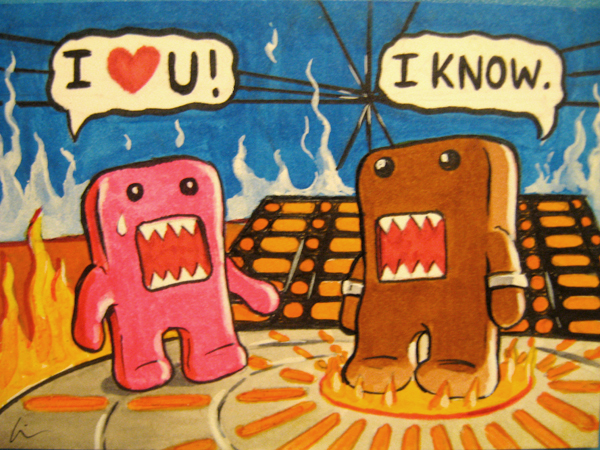 Plus it’s nice to see the commission you did for me “Han Carbonite Domo and Leia Domo” showcased. Hope to pull one of your sketches in G6! That was a fun card to do!